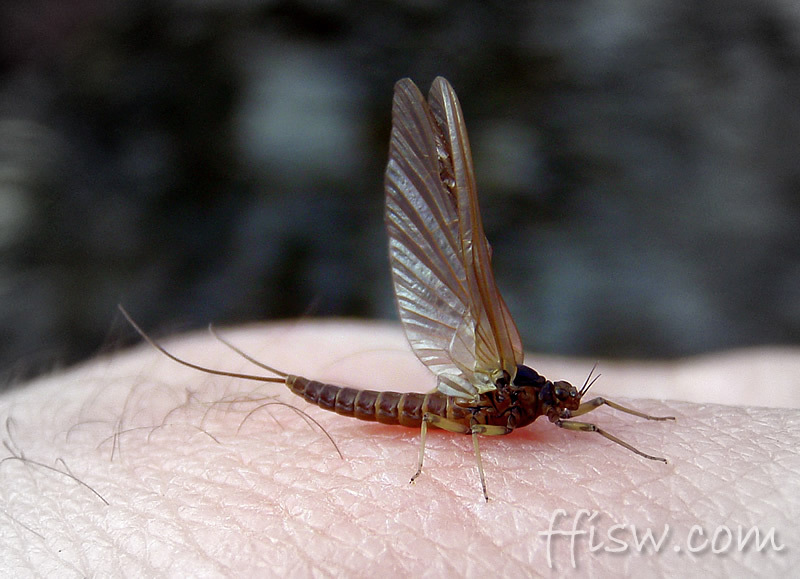 Fly Fishing in South Wales Detailing a professional fly fishing/game angling instructor's personal fly fishing experiences and exploits on the small, wild streams and rivers of Merthyr Tydfil, South Wales and beyond. www.ffisw.com. 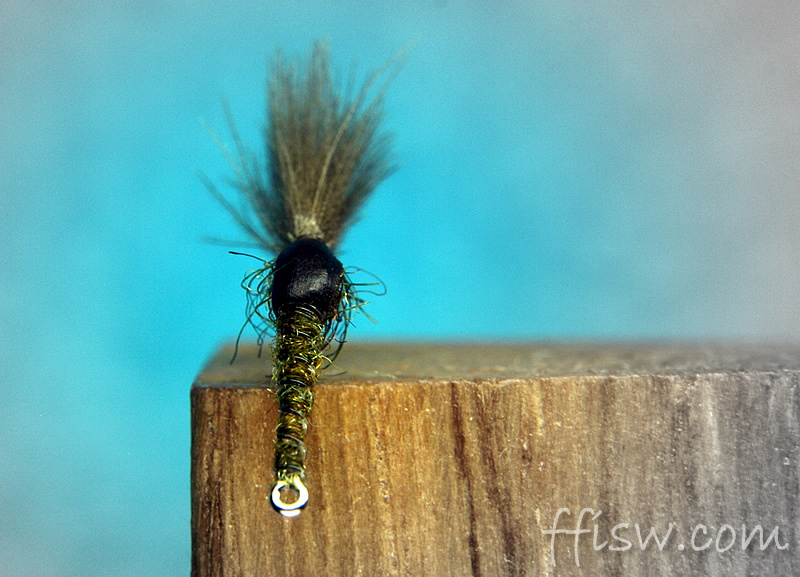 I’ve been fishing and tying the Chironomid Emerger pattern (pictured above) a lot over the last five/six years, and it’s simplicity of tying and fish catching ability always draws a smile to my face when I see a fish rise to it. I believe I have tweaked the design as much as I can, and I’m very happy with both the way it looks and, more importantly, the way fish think it looks. 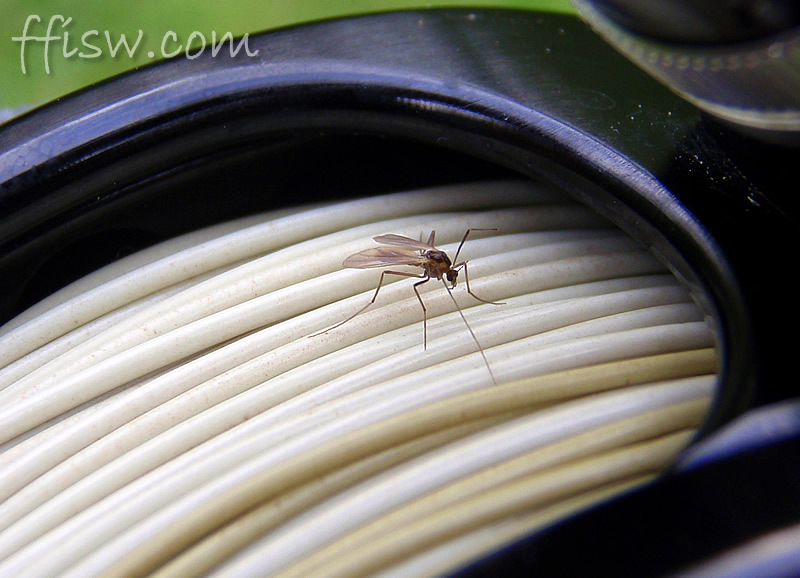 This simple pattern requires just four simple ingredients (three if you don’t count the tying thread), and is a great pattern for when fish are feeding on chironomids (non-biting midge of the Diptera order). The slim profile allows it to pierce (and sit in) the film, while the combination of CDC, spiky squirrel dubbing, and Krystal flash add stability and floatability. I fish this pattern in sizes from #18 down to #24 and, during the times when the water is carpeted with midge, I’ll opt for the larger, more eye-catching, size #18. 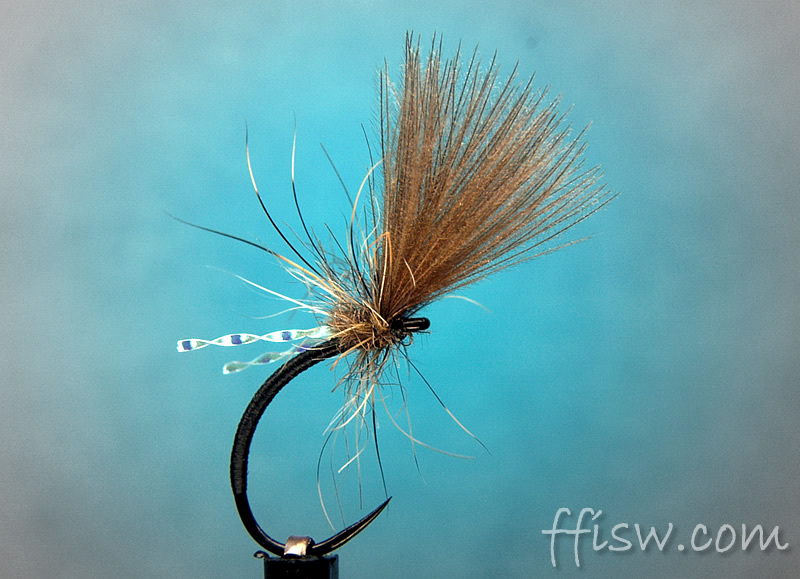 The smaller ‘micro’ #24s are kept for the spookier fish and work really well in our current ‘low water climate’. 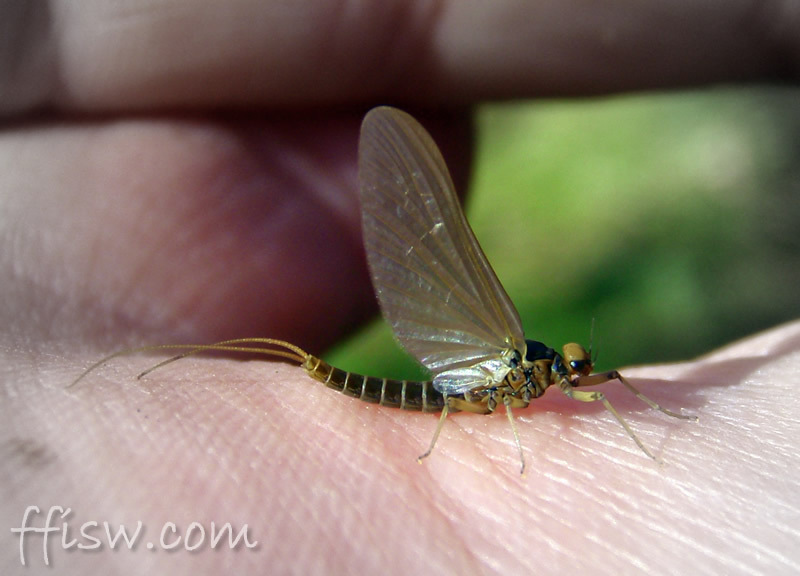 They also lend themselves fantastically to winter fishing for grayling; when the air temperatures rise just enough, you’ll often see a hatch of midges in the coldest of winters, and this is the time to quickly swap those heavy bugs for a long, tapered leader loaded with a chironomid emerger. 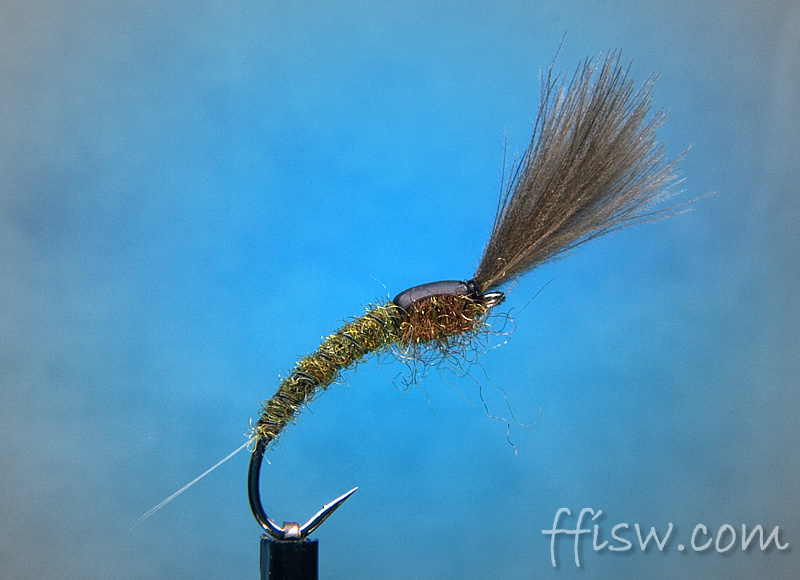 Attempt #1 was the below ‘Basic Baetis Emerger’, which holds true to the basic profile of any nymph of the Baetidae order. Whether the tails will matter all that much is yet to be seen, however, I’ve included them as a trigger on this pattern, so we’ll leave them there until the fish tell me otherwise! 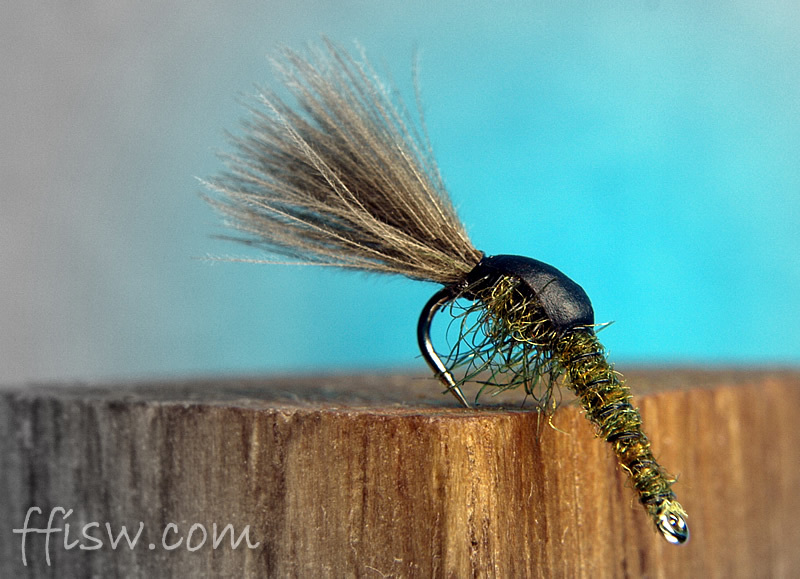 Over the next week I will be tweaking the Basic Baetis and Reversed CDC Emerger a little further as, after a few hours away from the vice, I’ve had a fresh re-think about the patterns; with a removal of a couple of ingredients, and the addition of one or two new materials. I think I’m nearly there.